MAINE, USA — As peregrine falcons move into parts of Acadia National Park to nest, some cliffs and trails are closing to the public. 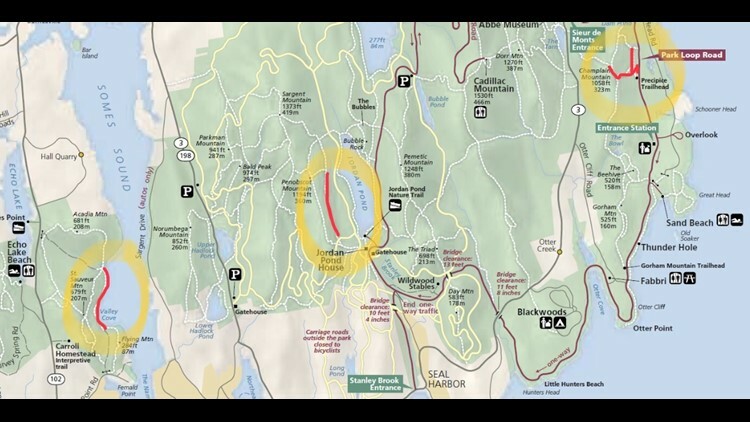 The National Park Service released a notice Friday that Precipice Trail, Jordan Cliffs Trail, Valley Cove Trail, and part of the Orange and Black Path are closed to public entry until further notice. Signs are up to indicate where people should not enter. Anyone who trespasses a closed area is violating federal regulations and could be punished by a fine, imprisonment, or both. As peregrine falcons move into parts of Acadia National Park to nest, some cliffs and trails are closing to the public. Research has shown that nesting peregrines are quite vulnerable to human activities, making them less attentive to their eggs or chicks. Disturbances of nests can lead to abandonment by adults, which make chicks susceptible to hypothermia, starvation, and predators. 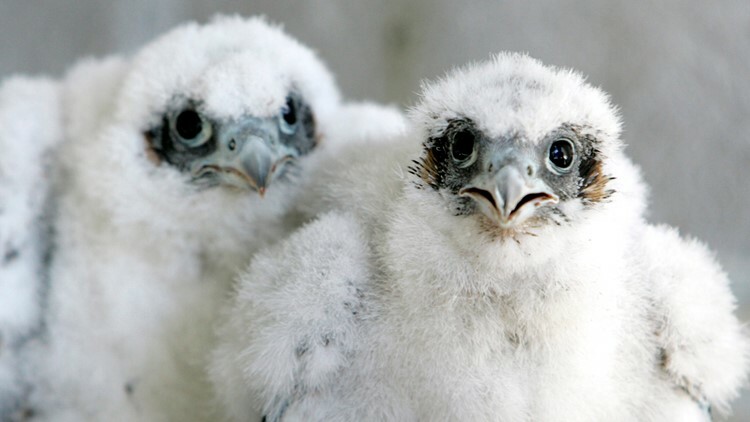 Peregrine falcons were once an endangered species, which makes the deaths of chicks even more harmful. The trails are expected to reopen after nesting attempts are successful. If nesting attempts fail, trails could reopen earlier.